Many of us encounter some form of art on a daily basis, but how often do you stop and soak it in? Slow Art Day is an annual event with a mission of helping more people discover the joy of looking at and loving art. 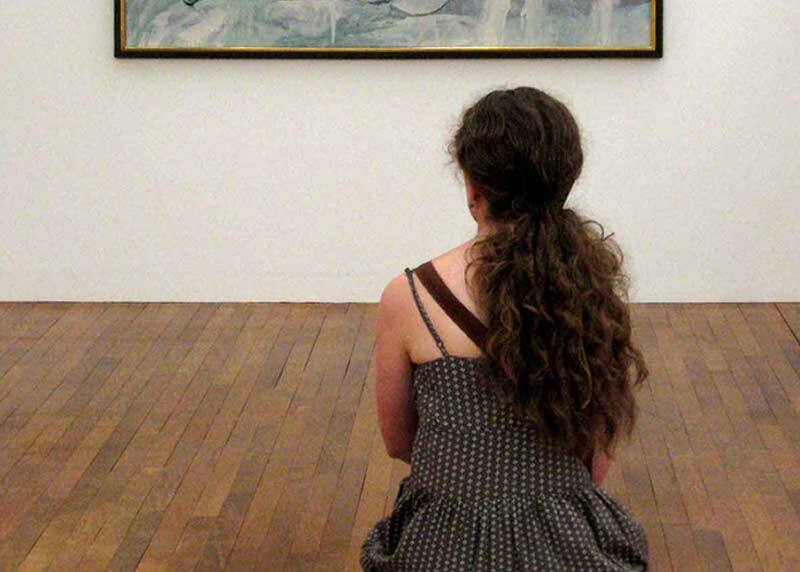 This Saturday, April 6, people from around the world are encouraged to visit local museums and galleries to look slowly (five to ten minutes) at pieces of pre-assigned art, and then meet afterwards to talk about their experiences. This year’s event will feature over 150 participating institutions, including six in Toronto. At the AGO, visitors are invited to pick five works of art and visit each for ten minutes. You can also join one of the one-hour gallery tours happening at 11 a.m., 12 p.m., 1 p.m. 2 p.m., and 3 p.m. or attend the ten-minute On the Dot Art Chats at 11:30 a.m., 12:30 p.m., 1:30 p.m., 2:30 p.m., and 3:30 p.m. Free with gallery admission. From 2 to 4 p.m. Art Museum will be hosting group activities for visitors to engage with the Hart House Permanent Collection. Join a one-hour collection tour with their docents and then join the Hart House Get Crafty! Team for a journal-making workshop. Free! Join artist Lisa Steele at InterAccess from 2-4 p.m. for a slow viewing of Daniel Young and Christian Giroux’s exhibition Film Path / Camera Path with under-titles. Following the tour, there will be a group discussion where participants can share their observations and insights of the works. Free! Every hour on the hour (12 p.m., 1 p.m., 2 p.m., 3 p.m., and 4 p.m.), Onsite Gallery will select one artwork in its current exhibition, How to Breathe Forever, for focused viewing. Visitors will take ten minutes to view the artwork and are then invited to join a group discussion led by one of the gallery’s staff members. Free! Visitors are invited to spend the first hour of the Textile Museum of Canada’s Slow Art Day program (11 a.m. to 12 p.m.) on their own at the exhibition Beads, they’re sewn so tight, looking at one work by each of the participating artists. You will then join Susan Fohr, curator of education, on the mezzanine for a discussion about your experience. Free with admission (spaces are limited); email sfohr@textilemuseum.ca to register. Slow Art Day at the Power Plant starts off with a silent viewing of three artworks from 2-3 p.m. (make sure to grab a handout with suggestions of what to look for and questions to ponder) followed by a group discussion of your observations and insights.